This policy is effective from 15th of May, 2012. Information from the use of our Mobile Apps: When you use our mobile apps, we may collect certain information in addition to information described elsewhere in this Policy. For example, we may collect information about the type of device and operating system you use. We may ask you if you want to receive push notifications about activity in your account. If you have opted in to these notifications and no longer want to receive them, you may turn them off through your operating system. We do not ask for, access or track any location-based information from your mobile device at any time while downloading or using our Mobile Apps or Services. We may use mobile analytics software (such asGoogle Analytics) to better understand how people use our application. We may collect information about how often you use the application and other performance data. A cookie is a small file which asks permission to be placed on your computer’s hard drive. Once you agree, the file is added and the cookie helps analyse web traffic or lets you know when you visit a particular site. Cookies allow web applications to respond to you as an individual. The web application can tailor its operations to your needs, likes and dislikes by gathering and remembering information about your preferences. We use traffic log cookies to identify which pages are being used. This helps us analyse data about webpage traffic and improve our website in order to tailor it to customer needs. We only use this information for statistical analysis purposes and then the data is removed from the system. Overall, cookies help us provide you with a better website or App, by enabling us to monitor which pages you find useful and which you do not. A cookie in no way gives us access to your computer, device or any information about you, other than the data you choose to share with us. You can choose to accept or decline cookies. Most web browsers automatically accept cookies, but you can usually modify your browser setting to decline cookies if you prefer. This may prevent you from taking full advantage of the website. 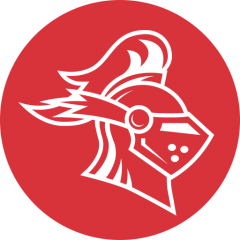 Red Knight Interactive will use the information you provide on App account / function sign-up within the App be able to use App for its intended purpose. We also use the information to be in touch with you and to provide updates and marketing. You can change your mind at any time, and submit Subject Access Requests by contacting us at support@redknightapps.com. We will treat your information with respect. Red Knight Interactive is a trading name of Bright Artificial Intelligence Ltd. All rights reserved. PlayFab will collect data from End Users and our Apps through the use of the PlayFab Services. All data (including all text, sound, video, or image files) provided to PlayFab through use of the PlayFab Service and all data PlayFab collects from End Users through the use of the PlayFab Services is considered “Game Data.” PlayFab may use our Game Data for the purpose of providing, improving and adding new features to the PlayFab Services. PlayFab may also develop, use, distribute and publish information and statistics derived from oue Game Data for use on an anonymized, aggregate basis; provided, that no such information will contain statistics or other information that is specifically attributable to the overall performance of your Games. This use of your Game Data will not result in the distribution or publication of any personally identifiable information. By using PlayFab in our Apps we agree to to comply with the PlayFab Acceptable Use Policy available at https://playfab.com/acceptable-use/ (the “Acceptable Use Policy”) which is incorporated herein by this reference and which may be updated from time to time. The PlayFab Services shall be subject to the Microsoft privacy statement available at https://privacy.microsoft.com/en-us/privacystatement. You agree to the use of your data in accordance with Microsoft’s privacy statement. Red Knight Interactive (a trading name of Bright Artificial Ltd) has partnered with Lottoland to offer bets on different lotteries within the Lottery Results App.